An aircraft operated by Malaysian Airline System Bhd. 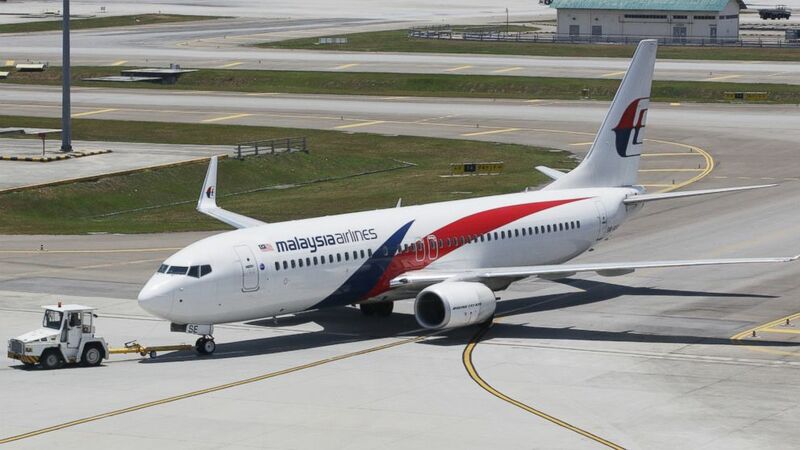 (MAS) is towed on the tarmac at Kuala Lumpur International Airport (KLIA) in Sepang, Malaysia, on March 25, 2014. The father of a passenger on the missing Malaysia Airlines Flight 370 has begun a multi-million dollar litigation process against the airline and plane manufacturer in the United States, an aviation law firm said today. A petition for discovery filed today in Circuit Court of Cook County, Ill., names Malaysia Airlines and Boeing, the manufacturer of the missing 777 airplane, as the initial defendants, Monica Kelly, head of Global Aviation Litigation at Ribbeck Law, told ABC News. The law firm is based in Chicago. A record of the filing did not immediately appear in search results on the Cook County Circuit Court website. Malaysia Airlines and Boeing did not immediately respond to requests for comment. Kelly said more potential defendants could be named in the next few days, including designers and manufacturers of the aircraft parts she said could have failed. The firm also appears to be calibrating the human cost as well. William Wang, an attorney for Ribbeck, told ABC News in Beijing last week that he had surmised from talking to families that one-third of the Chinese passengers on the plane were the only child their parents had. "At least 50 parents lost their only one child," he said. "For them it is a disaster." The petition was filed on behalf of Dr. Januari Siregar, whose son was on board the flight from Kuala Lumpur to Beijing when it disappeared on March 8. Among the requests listed in the petition for discovery are demands that Boeing identify a person or company who has "evidence of findings of corrosion and fractures in the fuselage of the Boeing 777 fleet that could lead to catastrophic fatal depressurization of the cockpit," Kelly said. The petition seeks details on elements of the plane's construction ranging from the makers of batteries on the plane to the person in charge of its operating manuals, Kelly said. One section asked a judge to order the companies "to provide the identity of the person or company who is in possession of information pertaining to the training of the crew for catastrophic incidents including fire in the cockpit and sudden depressurization; the identity of the person or company who is in possession of the security practices of Malaysia Airlines; the identity of the person or company who provided training to the crew with regards to safety of the aircraft; the identity of the person or company who is in possession of the documents pertaining to Malaysia Airlines physical and psychological evaluations of the crew." The legal documents also request that U.S. based experts be included in the search for the wreckage and bodies. Kelly said a particular request was also made for the Woods Hole Oceanographic Institution, which has worked in the search for previous aviation and maritime disasters, to join the search with its underwater sonar vehicle. The nonprofit said on its website it has offered its expertise to the authorities responsible for the search in the southern Indian Ocean. Malaysian Prime Minister Najib Razak announced Wednesday, after a maddening 17 days of searching, that Flight 370 "ended" its journey in a "remote location" of the southern Indian Ocean with no hope of survivors. The plane was carrying 239 people. Weeks of searches that spanned the South China Sea, Gulf of Thailand, Strait of Malacca, the Bay of Bengal and finally the south Indian Ocean off of Australia turned up no new leads as authorities tried to figure out what happened to the plane.